Because this is a World Cup year, I have decided to countdown to the tournament by providing a short soccer/fitness related preview of each of the 32 participating nations. In this installment, I will look at Iran, one of the strongest teams in Asia, who have drawn a tough group that includes Nigeria, Argentina, and Bosnia-Herzegovina. The Iranian team will play their first match against Nigeria on June 15th. The authors of Soccernomics were able to use these factors to explain why countries like Brazil and Germany win so often, and conversely, why England loses more often than not. Using these same metrics on Iran might lead believers of Soccernomics to conclude that the country could be poised to become one of the world’s next soccer superpowers. 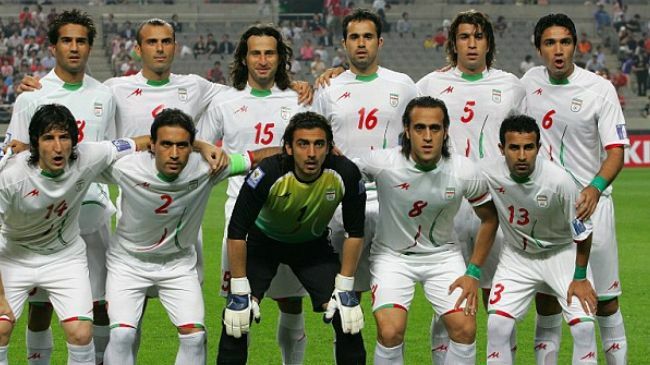 After all, Iran has a large population, they are a wealthy country, and they have a lot of soccer experience, having begun playing international matches as early as 1941. The authors of the book themselves predicted Iraq and Turkey (two countries that neighbor Iran, and like Iran have large populations and abundant natural resources) to become future World Cup winners. Looking at this information through the lens of Soccernomics, it seems as though the Iranian team cannot reach its true potential until their aforementioned problems with funding and corruption are resolved. The coach, and the team, however, have remained positive and optimistic about the future, despite their recent set-backs. “My commitment to Iranians is to make them happy,” Queiroz has said. “This is our World Cup, this is our time to tell the world that Iran is a football country.” Can the Iranians rise above their underdog status and achieve their “unrealistic dream” in Brazil? We will have to wait and see what happens in 1 month’s time.